A few months ago, I was whining and pining for my long lost Jamba Juice after being unimpressed and underwhelmed by a $5 juice product from TJ's. Looks like they've stopped stocking that pressed juice at our local store, at least for the time being. I certainly wouldn't miss it if it disappeared forever. But I'll be danged, believe it or not, this strawberry chia stuff is a product I can get behind. It's thick, sweet, tasty, filling, and each bottle has way more omega 3 alpha-linolenic acid than I ever knew I needed. $2.99 a bottle won't break the bank, either. With 48% of your daily fiber and 340 calories per bottle, this is a beverage that "eats like a meal." I can make this work for lunch all by itself. Some of you weight watchers might be horrified by the calorie count and the presence of 8g of fat, but look at it this way: wouldn't you rather be taking in calories from good sources like fruit and chia seeds than most other snacks? There are exactly three ingredients in this drink: apple juice, strawberry puree, and chia seeds. None of those things are going to show up on my gut the way 340 calories worth of bad carbs would. I'm certainly no nutrition expert, but circa 7 years ago, I was 25 pounds leaner because I had a smoothie every night for dinner. In truth, the bottle claims to have two full servings in it, but I just don't see it that way. By drinking the whole thing, I feel very full, and I honestly don't want to eat anything else for quite a while. By drinking half of it, I feel like I need a bit more food in my body, and the little devil sitting over my left shoulder whispers something along the lines of "Go ahead, you've already had your fruit today. Have a slice of pizza or a donut," and sucker that I am, I fall for it every time. But anyway, in summary, this just might be the smoothie that I've been looking for. Strawberry is the dominant flavor, and it's pleasantly sweet. The puree and the seeds blend seamlessly, texutre-wise. And a nice little blend of vitamins and protein make this a must-try for smoothie-enthusiasts and health nuts. I'm torn between an 8 and a 9, so I'll go with 8.5 stars.
" 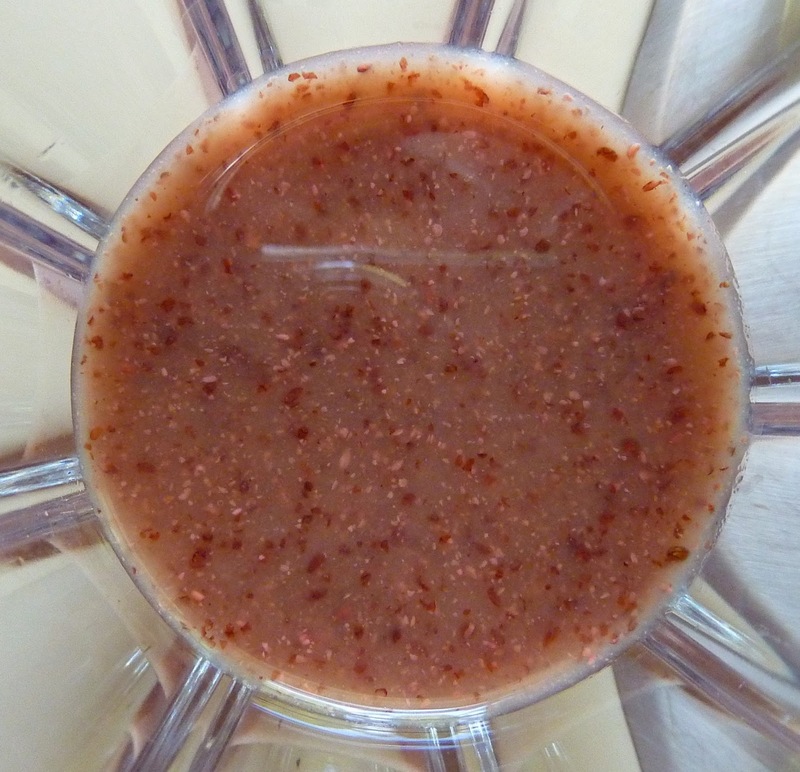 apple juice, strawberry puree, and chia seeds. None of those things are going to show up on my gut the way 340 calories worth of carbs would." -- Um, those things are practically ALL carbs, and in fact there are 62g of carbs in that drink, which is still 244 calories. Carbs are carbs... simple. And 48 grams of sugar! You know what he meant... Better to put in your body than processed carby junk. Your body processes it the same way.